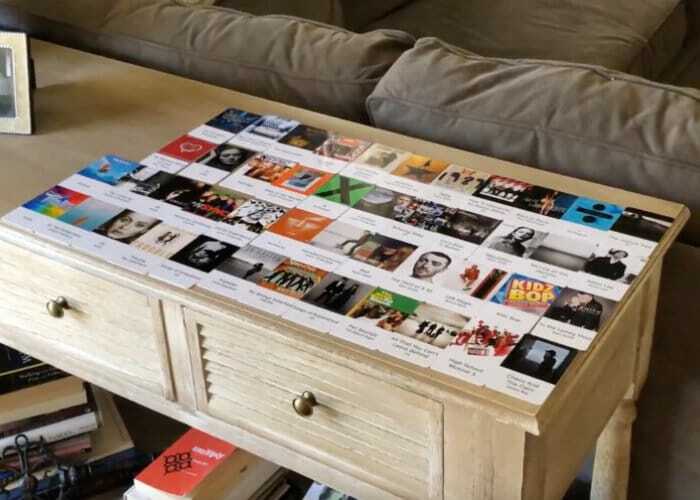 Maker “Hoveeman” has created an awesome RFID tag jukebox which allows him to use custom-made cards with images of his music collection, equipped with RFID tags to quickly and simply change the music playing throughout his house. Sure you could ask Google Home or Amazon Alexa using voice commands, but there is something nice about being able to see your full collection in front of you and simply tap your desired album to start it playing on a variety of speakers dotted around your home. Check out the video below to learn more about the Raspberry Pi RFID Jukebox project which has been published to GitHub and YouTube this week. Constructing using a Raspberry Pi Zero mini PC equipped with a RFID reader and hidden underneath the table the system is capable of recognising each album thanks to its corresponding RFID tag. Once recognised the Pi Zero then communicates with his Home Assistant home automation setup, which in turn instructs his group of Chromecast Audio and Google Home devices to begin playback of the selected music.